Beside hand-held and disguised units for observations at nighttime it is very often necessary to have a complete unit for longer ranges. The PKI 5315 fulfils all requirements. With its large aperture and low-light objective, combined with the image intensifier of 2nd generation, it provides a stable and reliable night-vision system for border controls, permanent observation of industrial areas and other important points. It has a large eyepiece, enabling the user to comfortably view targets with both eyes. 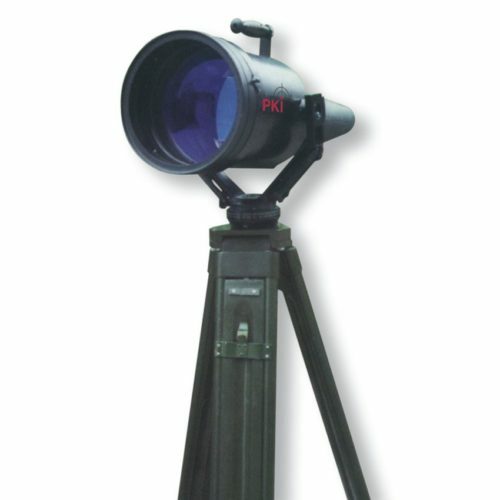 By using the supplied tripod, the unit can be rotated by 360° and elevated by 90° during operation. PKI 5315 can be equipped with a lowlight watching system, which will transfer and display the image on TVsystems.